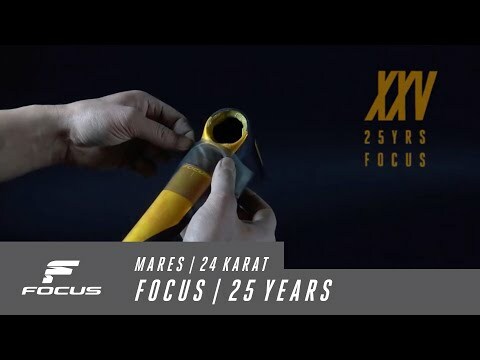 This MARES is designed to celebrate 25 years of FOCUS Bikes. The design is inspired by Mike Kluge’s 1992 world title in Leeds, Great Britain. 1993 Mike founded the brand FOCUS in the Black Forest in Germany. As a successful professional cyclist in different bike disciplines, he used his extensive knowledge to develop new bikes. 1993 he sold the first FOCUS bike – the birth of FOCUS as a bike manufacturer.